Spraying Monsanto’s herbicide Roundup could cause cancer, the World Health Organization said in a new report. Published Thursday in the journal The Lancet Oncology, the reportfocuses on a chemical called glyphosate, invented by Monsanto back in 1974 as a broad-spectrum herbicide. It’s the active ingredient in Roundup, a popular product used mostly in commercial agriculture production. Roundup is particularly good for genetically modified crops, which can be bred to resist damage from the product while it kills the weeds surrounding it. Roundup, shown here, includes a chemical that could be carcinogenic to humans. In the U.S., glyphosate is not considered carcinogenic. The Environmental Protection Agency’s current position is that “there is inadequate evidence to state whether or not glyphosate has the potential to cause cancer from a lifetime exposure in drinking water.” In the wake of Thursday’s report, however, the EPA said it “would consider” the U.N. agency’s findings. The new report, crafted by the WHO’s International Agency for Research on Cancer (IARC), puts glyphosate at the second-highest level of the agency’s classifications for cancer. There are four classifications for things that could cause cancer: known carcinogens, probable or possible carcinogens, not classifiable, and probably not carcinogenic. It noted that glyphosate has been detected in the blood and urine of agricultural workers, indicating that it is absorbed by the human body. 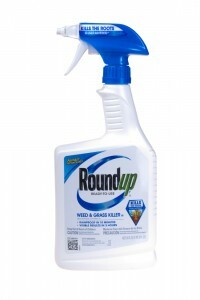 Roundup is used in both industrial agriculture and in home gardens, but the new classification is aimed mainly at industrial use. Home gardeners do not risk significant health impacts from using the product, one of the agency’s representatives told the Associated Press. The U.N agency’s findings are being met with some heavy skepticism — particularly from Monsanto. The company is arguing that the bulk of the scientific literature shows no proven carcinogenic effects on humans, and that the researchers used data that was already widely available to make a conclusion that no other health agency has ever made. Aside from debate over its cancer-causing effects, the active ingredient in Roundup has been shown to be harmful to humans in other ways. When exposed to heightened levels long-term, the EPA saysglyphosate can cause kidney damage, and could have harmful reproductive effects. Acute exposure can cause congestion of the lungs and an increased breathing rate, according to EPA. Focus on the health impacts of glyphosate has magnified over the years as the chemical’s use has skyrocketed across the country and the world. According to the report, it is now used in more than 750 different products for agriculture, forestry, urban, and home applications.